Today it's Deborah from Belgium again! 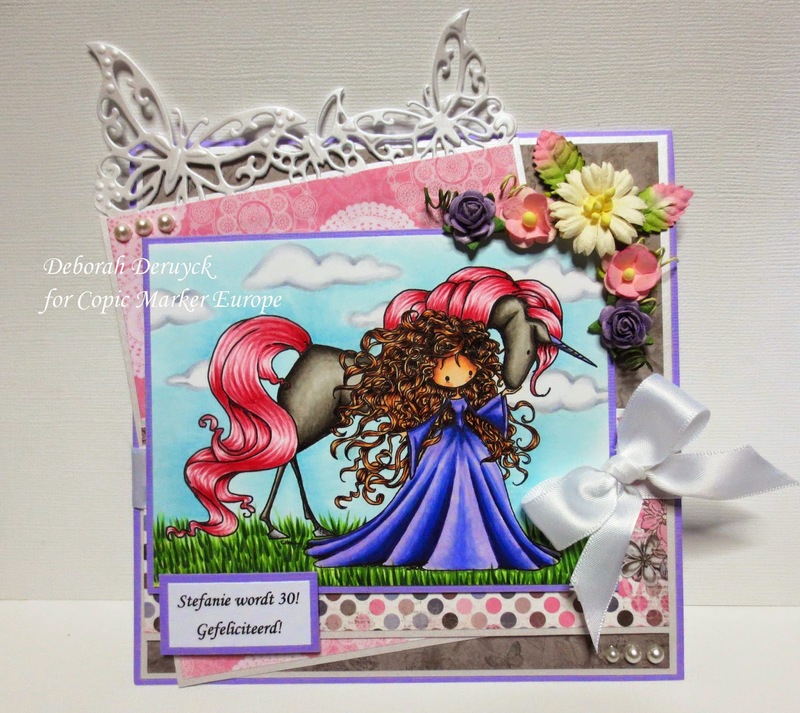 I just wanted to show you this card I've made for a beautiful young lady who turns 30 years old. 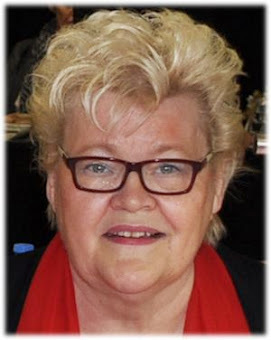 Stefanie is mentally and physically disabled and so sweet! She loves horses so much, so I thought this was a perfect image. 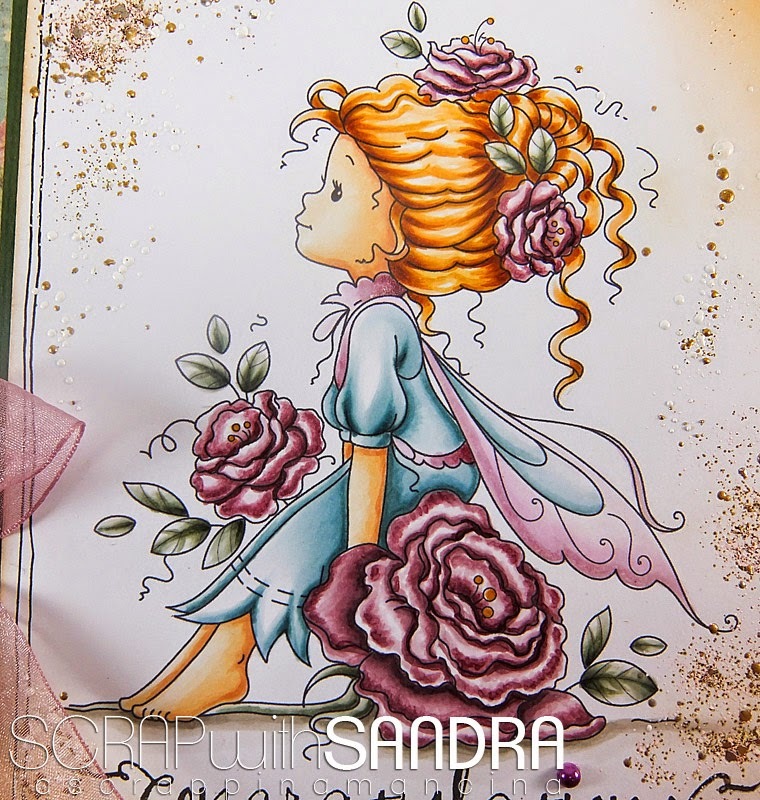 It's from Tiddly Inks "Magda and Sparkles". 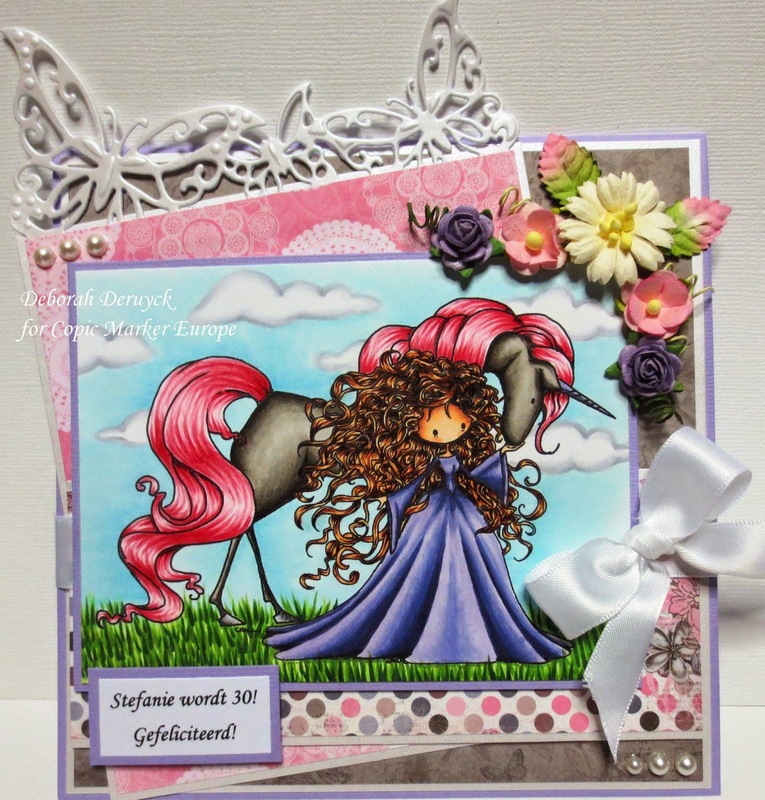 I know this is a unicorn, but who doesn't love fairy tales? First I've made my background. It's the lightest colour and if you make a mistake, it's easy to fix it with the blender or another marker. If you colour the sky after you coloured the unicorn and the lady, you sometimes take a little colour from the image and smudge it all over your background. I hope she'll love the card! 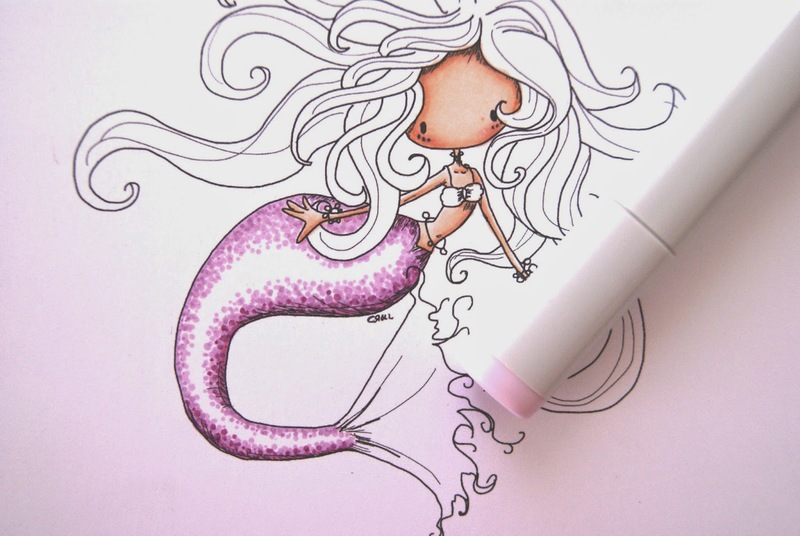 Hello all Copic lovers and good day. 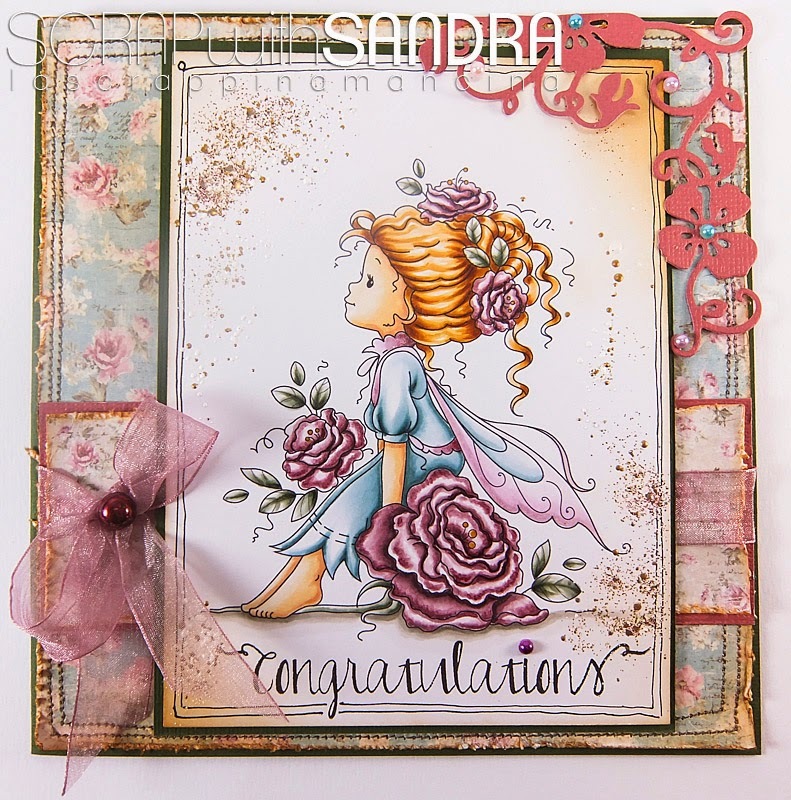 I'm Sandra and to wish you happy holidays I made a card using "Rosetta" a digital stamp from Wee stamps. 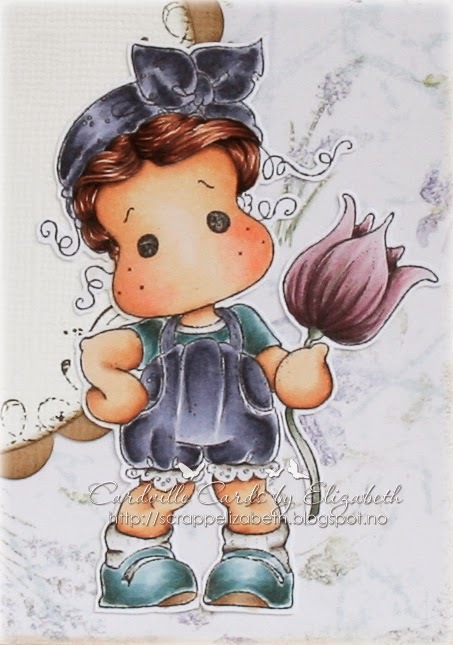 As the name suggests, the main protagonist of the stamp, in addition to the girl, are lots of roses that surround the character. Using my beloved vintage colors for the roses I chose the shade of the family RV, while the clothes of the girl as the family BG. I had great fun coloring these roses that are really fantastic! To enhance the stamp I stamped with the size of the "important", it measures 11 cm. 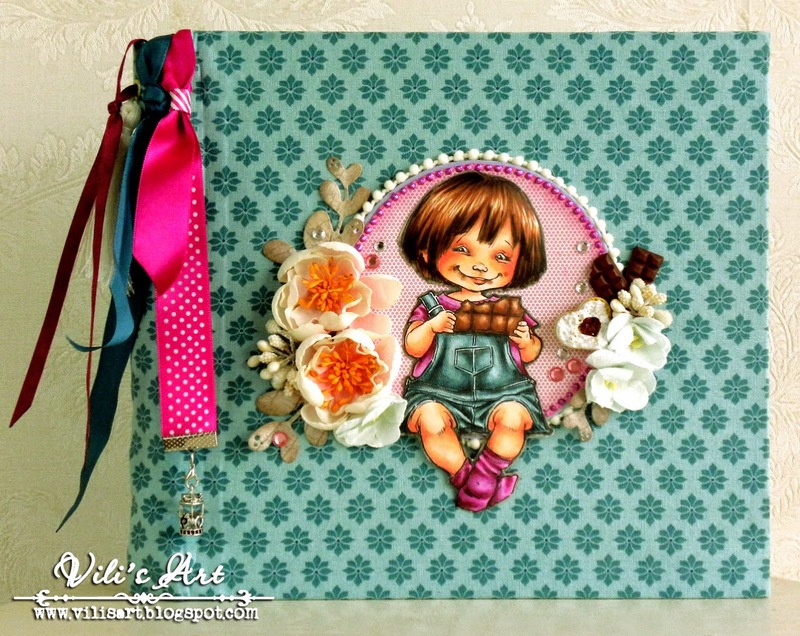 Remain very little space for embellishments, so I made ​​a CAS card with bazzil , paper pattern of the Maya Design and a tulle bow an embellishment die-cut with a Magnolia die ,and little else. The sentiment is a stamp of Avery Elle . I hope you enjoyed my card, I wish you all happy holidays and we find ourselves in September. 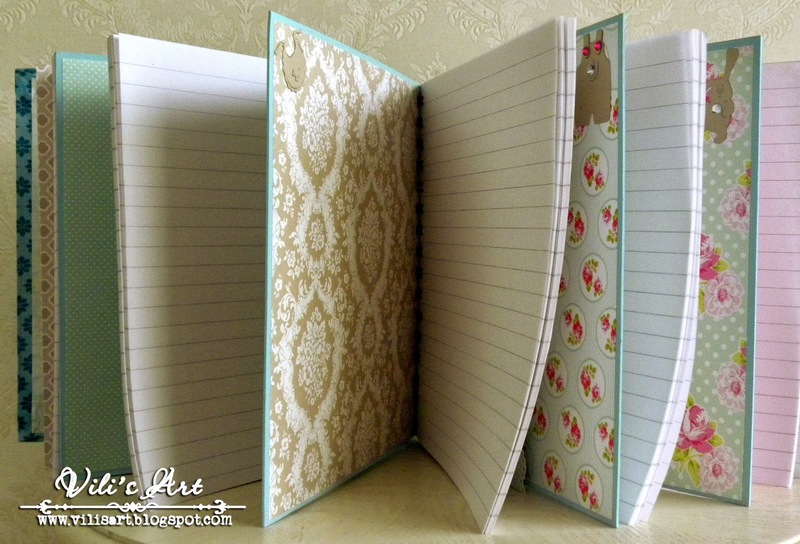 Today I want to show you the last baby thing I made, which is something between a baby diary and a baby album. The mother of the little buddy wanted a book to write down the kindest moments from the routine and simultaneously to put in photos. I don't have a system when colouring the stamps, I don't follow certain steps and every time I start from a different part. Usually I colour the skin first, then the hair and last are the clothes. When I colour the hair mostly I try to make it similar to the person the project is prepared for. In this specific case, the baby is still little so I made the hair like her mother's. I comform with the background papers (or fabric) when colouring the clothes. Sometimes (like now) I add a texture of the fabric of the clothes. 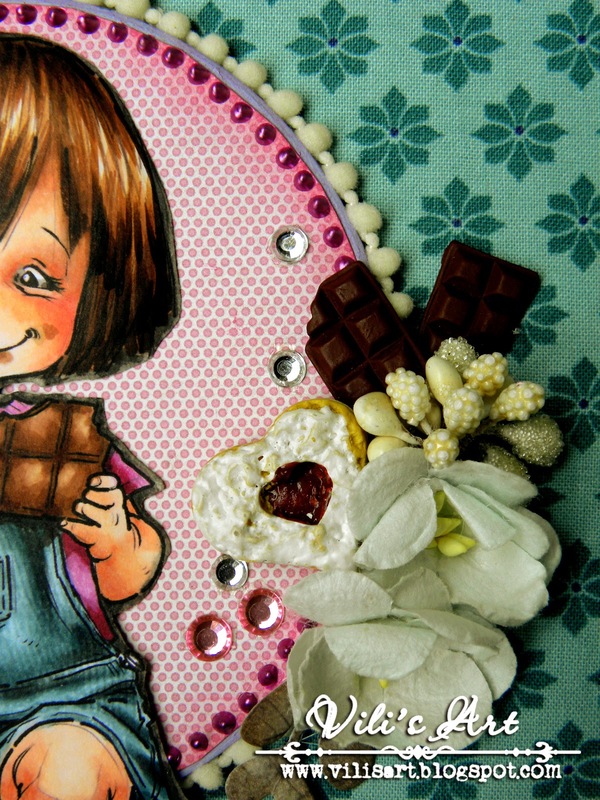 And what would be one 'chocolate smile' whithout a decoration with some little chocolates of polimer clay? The book has 150 sheets for writing and 16 pages for photos. 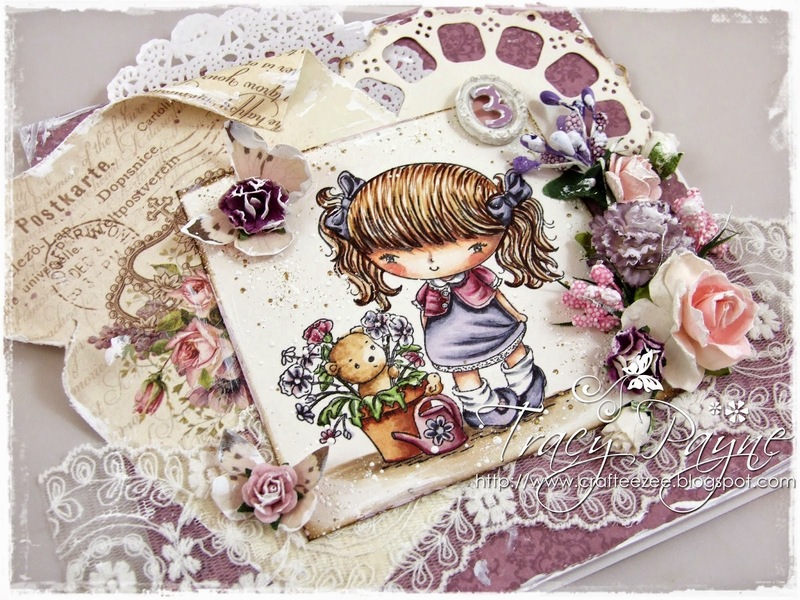 Recently I discovered absolutly wonderful designer of digi stamps - Aurora wings. Pretty sure that a lot of you have already know her. 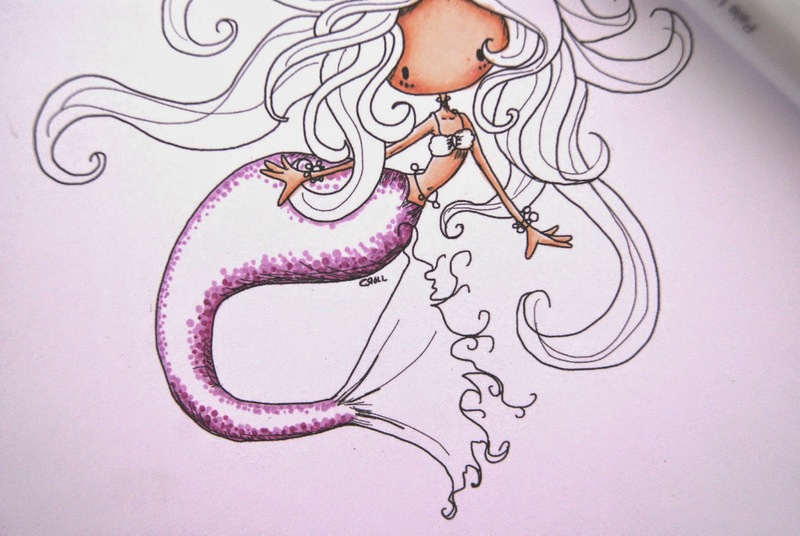 :) If not - just visit her website for giant source of inspiration and beauty! Anyhow for todays entry I decided to use one of the her digi stamps - Viridis Incendia - Carnivorous Plants . For this card I used accetate as a body. I cut the main character out and glued it on the front. Than (after some correction in photoshop and my doodling) I used the second part of the image to create a background - and glued it inside the card. 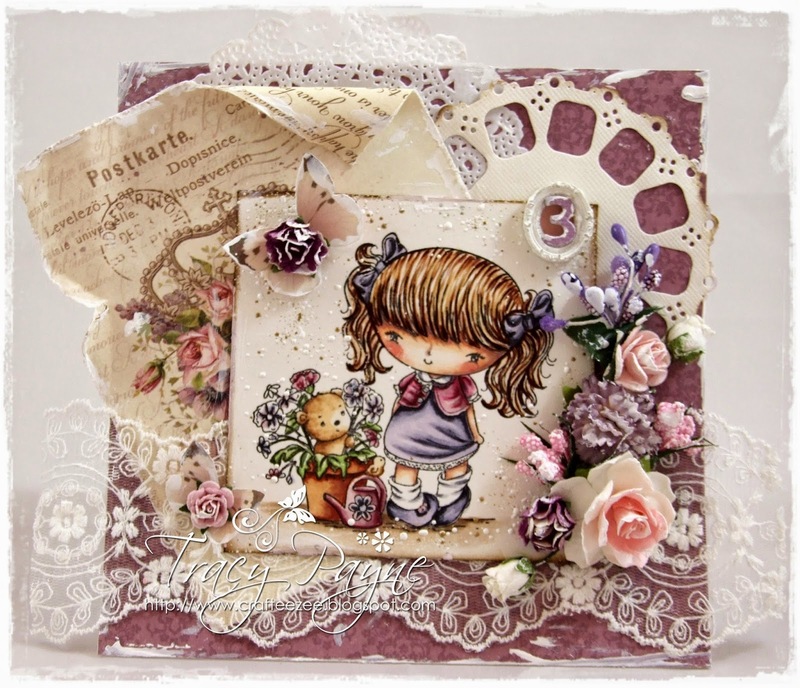 Than add sentiment, couple of reinstones, ranger stickles and glossy accents. 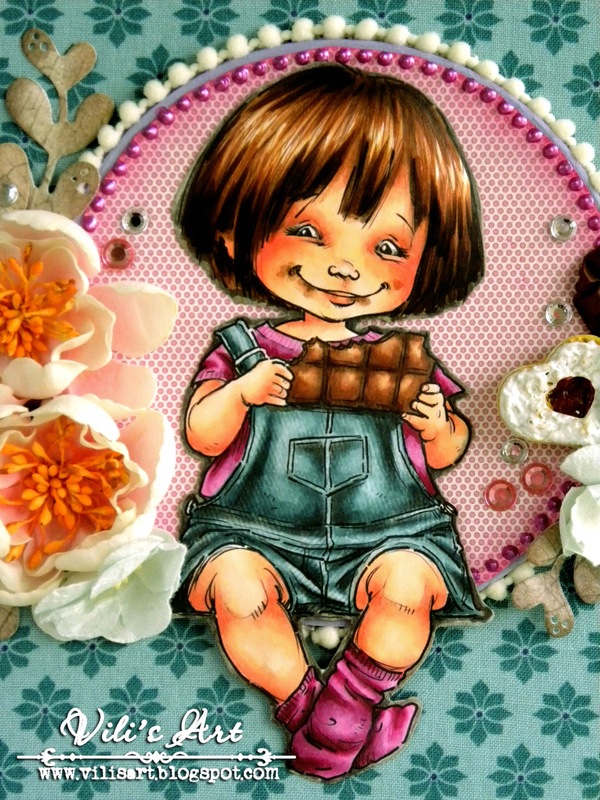 Hi copic friends, it's my turn again.This time I have made a tag and the background is made with Dylusions ink and Dutch Doobadoo masks. honnestly, I had expected more entries to our Challenge "Welcome Baby", but it is the Quality that counts, not the number. The winner will be announced on Friday, 25th July 2014.
before the end of 19. August 2014 (23:55). The winner will be announced 22. August 2014.
today is it my turn, Rozzan, to inspire you. I have choosen a stamp that is a little bigger then usual. 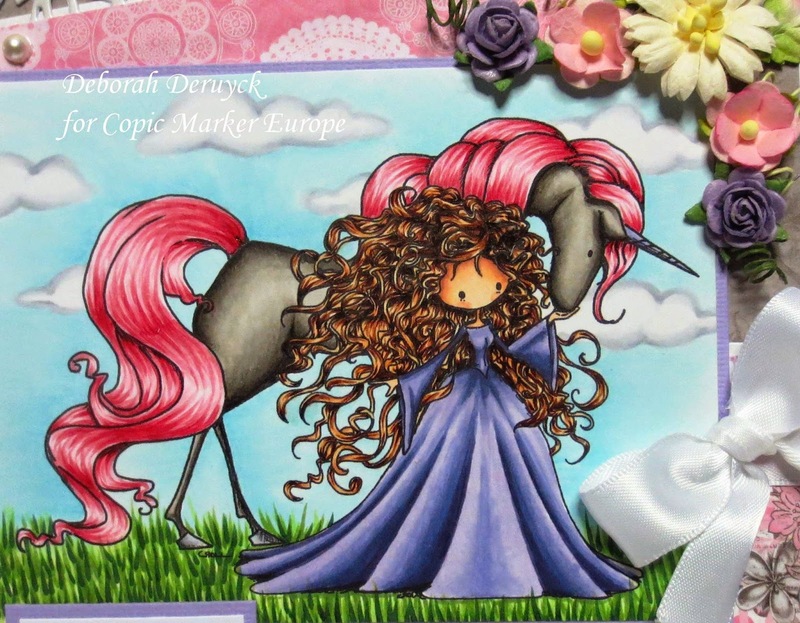 It is a digistamp from Deviant Art. The reasons I have choosen a bigger stamp to be able to practice on hair. This time I decided to paint the hair in a color I usually don't. 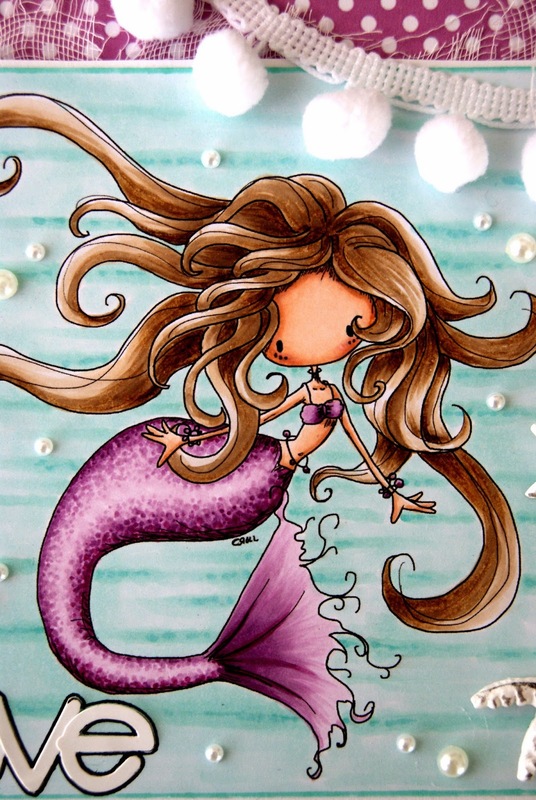 I think that this have a really nice effect on the hair. Under the stamp I put a black paper to get a more clear framing. and to bring out the stamp more. to get the effect of a painting. I cut of a corner on the stamp and added one more photo mat. This I also "built up" with 3D pads. I hope its clear and that you see how I have build it up. from whom the very last again got to be black. On the flowers I put on some silver "blings". The "Blings" also "fall" down to the last layer of paper. And here you see the finished painting colored with copics of course. 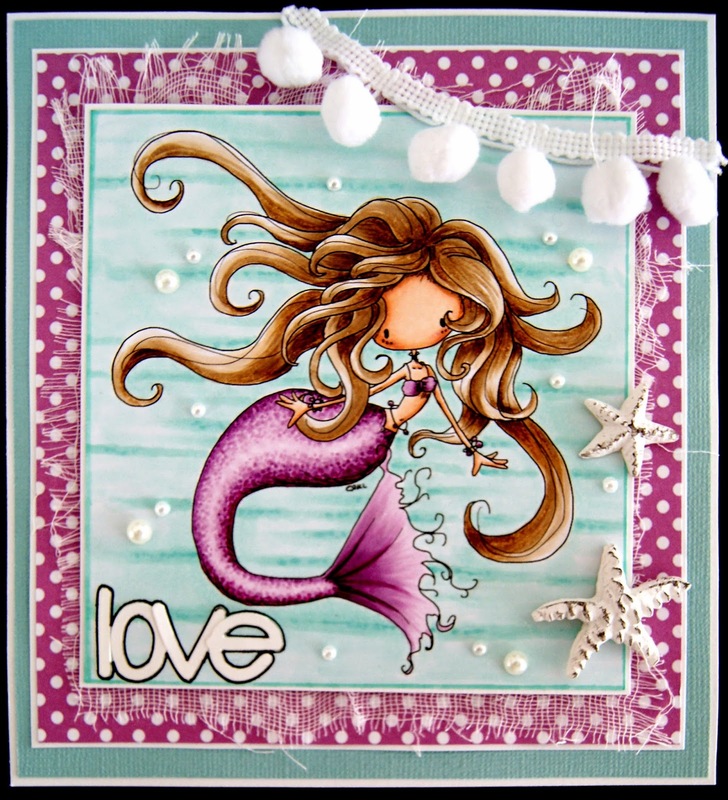 Today I have a little tutorial to show you how I color fish scales, or mermaid. 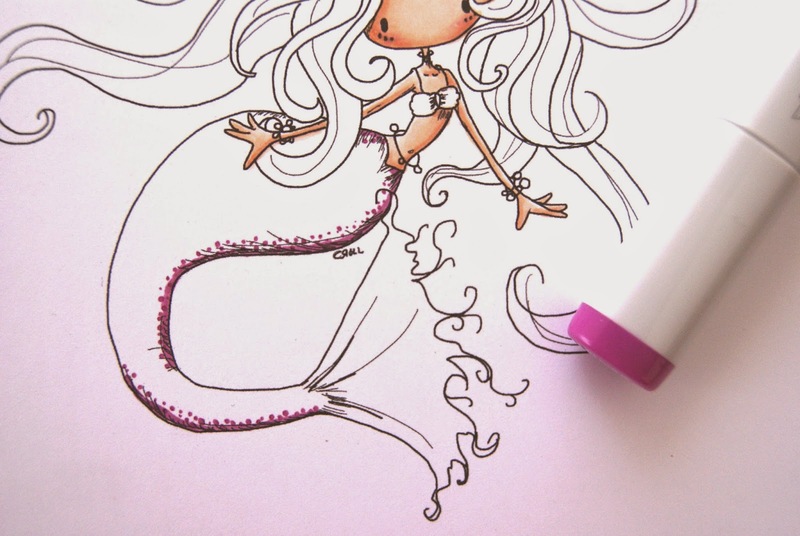 I got many request for a tutorial on colouring a mermaid/ of fish tail. So I've prepared a step by step for you. 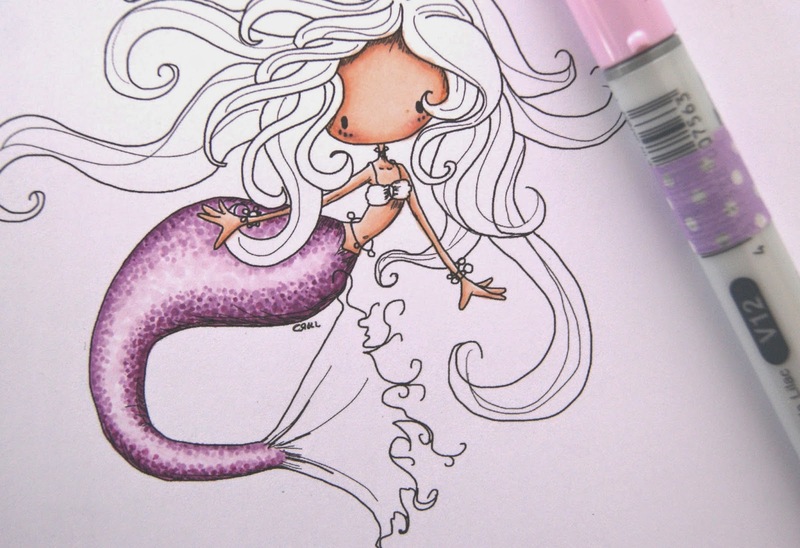 Of course I show you how to do it with your Copics. First use a darker color and if possible a different tone to the rest. My choice in this example are V-colors, but my darker color is the RV66. A color from an other natural blending group, for me important to have two different shades of the same color. With my color RV66 I have drawn a fine line on the side of darkest shade. And then I added very small dots, I adore my brush tips! Because I want to have a volume effect, I keep the light in the middle of the tail. I have a darker side down, another intermediate up to give volume. I keep coloring with another, lighter intermediate color, I use V01. Added more dots on the previous color and a bit more towards the center. The central part of my drawing is not white, I have used the V000. 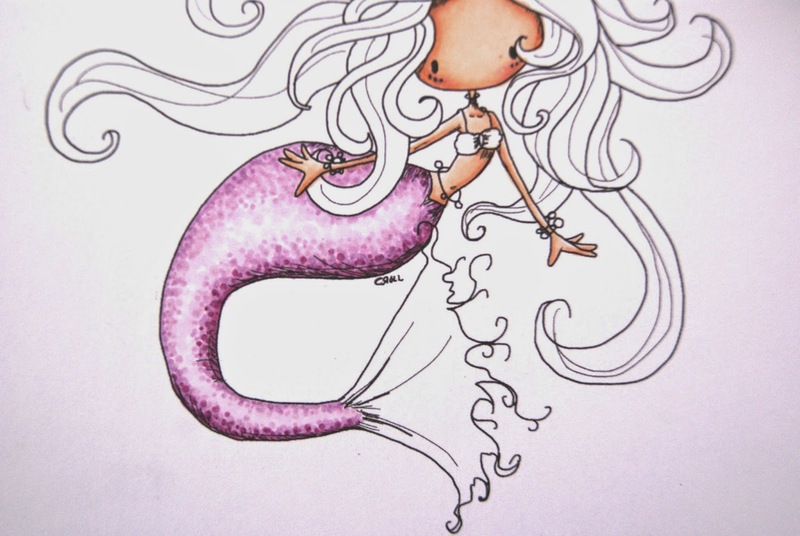 Again add more dots on the above and finish paint spots all the central part of the mermaid tail. Now repeat again, I start with the darkest outer parts. I'm going to the center, using an intermediate color, added more dots with V12. And again I use V01 for parts around the area for more light. And this is my card with my colored drawing. 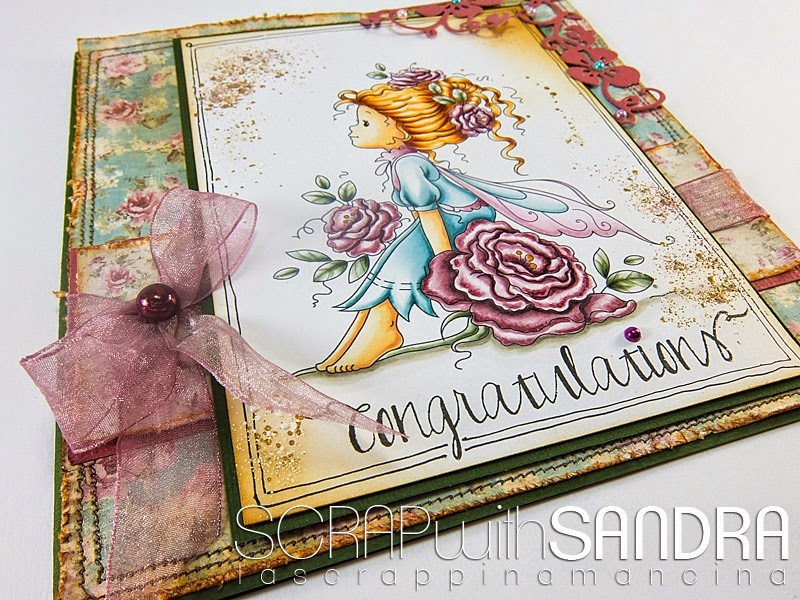 The digital stamp is from Tiddly Inks. 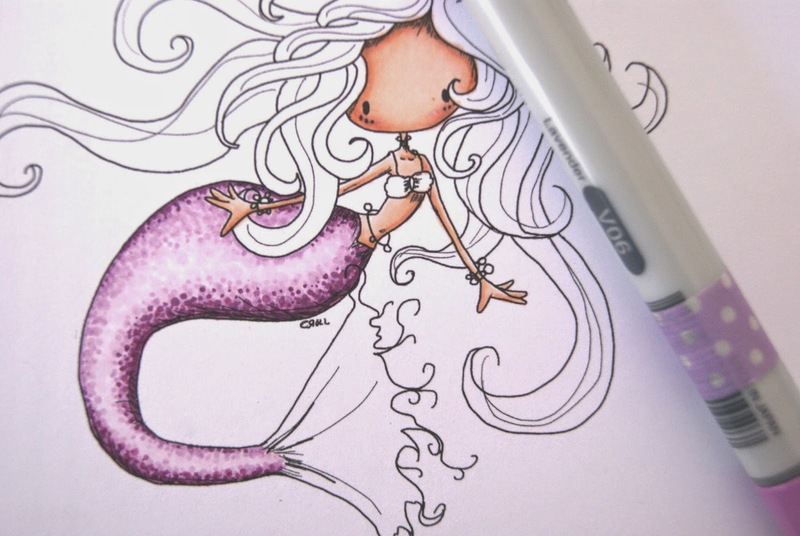 I hope you liked it and do them in practice, summer is the best time for coloring mermaids. Hair: E40, E41, E42, E43, E44. Tail: RV66, V01, V000, V12. 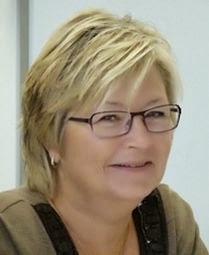 Nice to meet you, my name is Esther and I am from Spain. 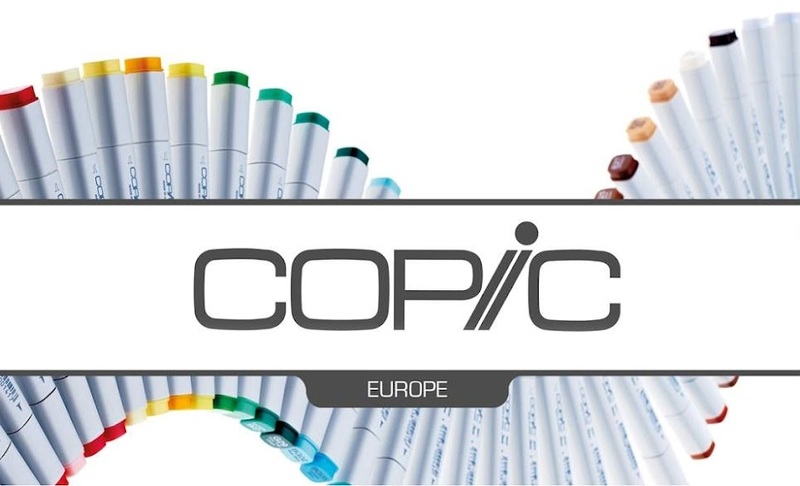 It is a pleasure for me to collaborate with Copic Marker Europe. 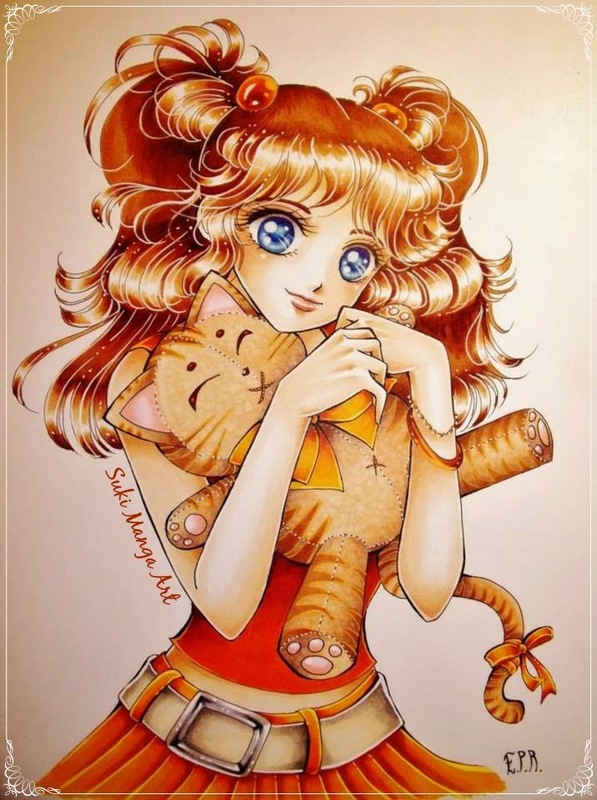 This is my first entry and this time I would like to show you one of my illustrations created with Copic Markers. This is the creation of an Original Character. Then I colour eyes and hair. 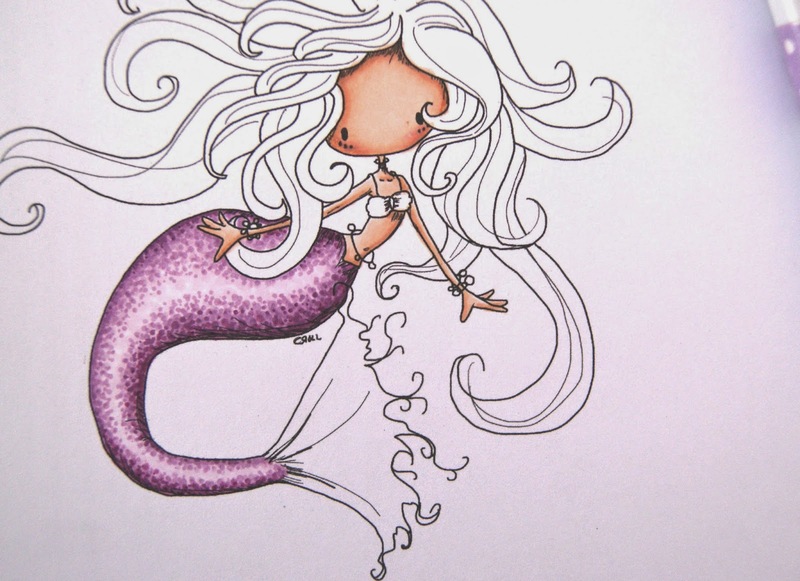 I use white ink for final details on the hair. I also used “0 -Blender copic” to create a texture with little dots for the plush cat. I hope you enjoy this illustration. 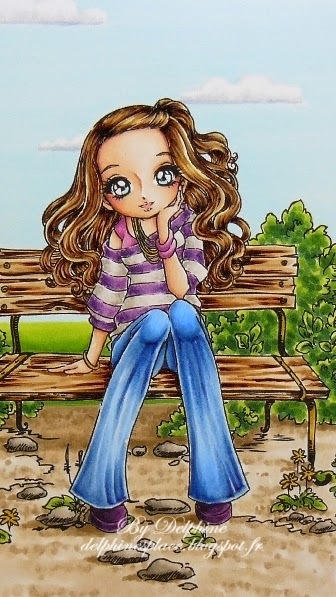 This cutie is Jacinta Sitting Thinking and I have merged her with Park Bench For Two, and simply coloured my scene with Copics. I tried to add pleats to Jacinta's trousers, inspired by an image coloured by Zoe. I added a Make It Crafty sentiment from the Just Wanted To Say Sentiment Set. I'm back from holiday, well actually we got back last Sunday but was hard work trying to stay awake until bed time when you arrive at 4:30 in the morning, making it 34 hours since you last went to bed. Not a good idea going to work the next day either, so it's been a long week to say the least. 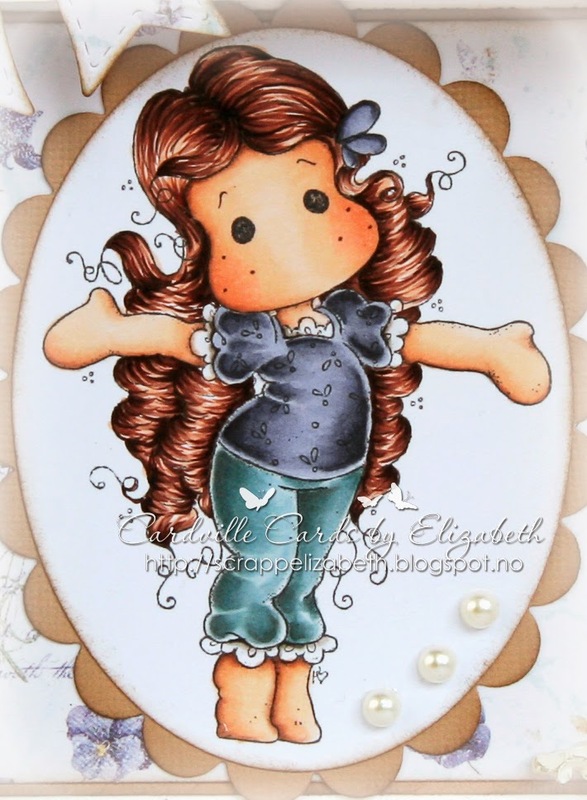 I have used Candibean image called Peek A Boo image, isn't she a cutie and she's for my niece's 3rd birthday today, so you can see one of the new numbers from the Marianne Design's July release, so handy to have. 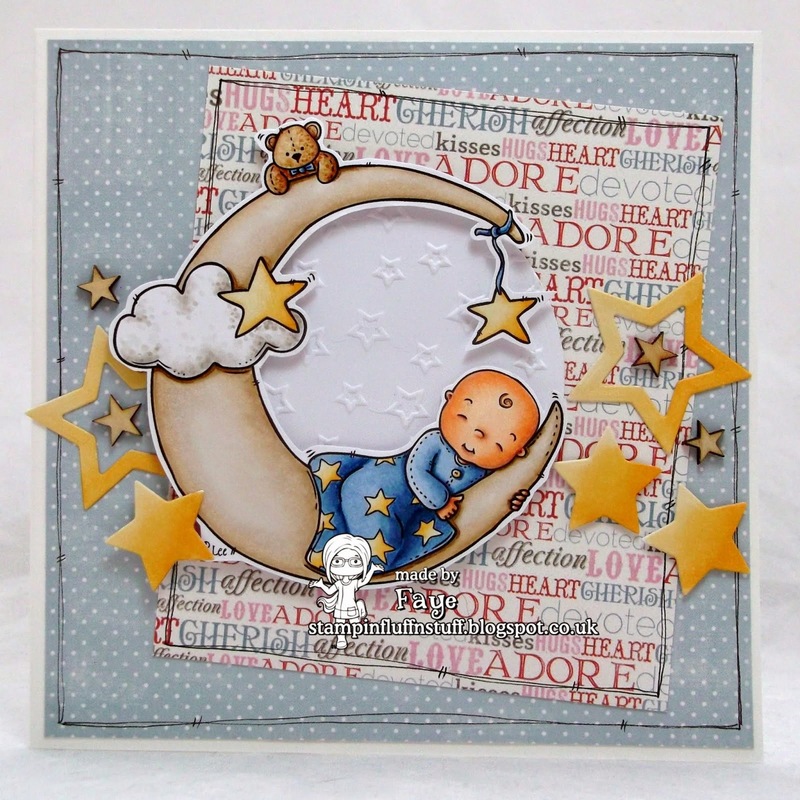 The Viewfinder called Lovely View is also from Little Darlings Rubber Stamps, I couldn't find my embossing mat, umm that's because I've tidied up you see, but is definitely one to have in your stash. 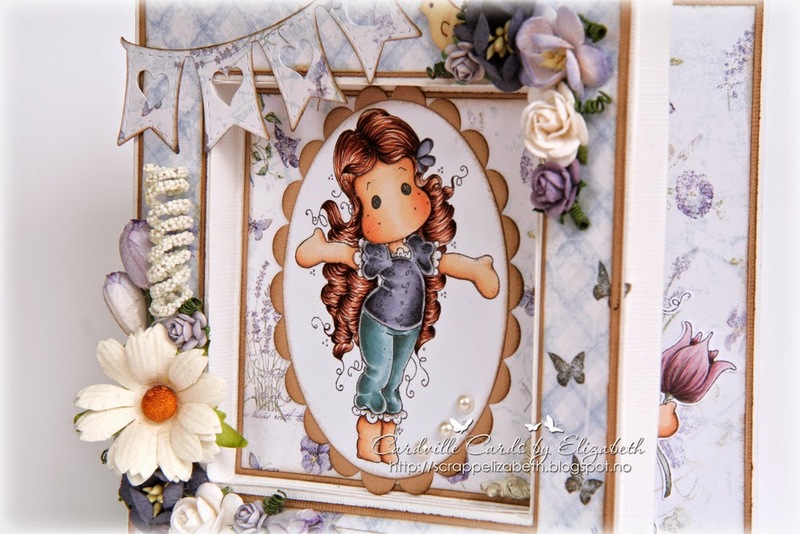 Hello Copic Friends, Elizabeth her today to show you a frame- card with two Magnolia images. 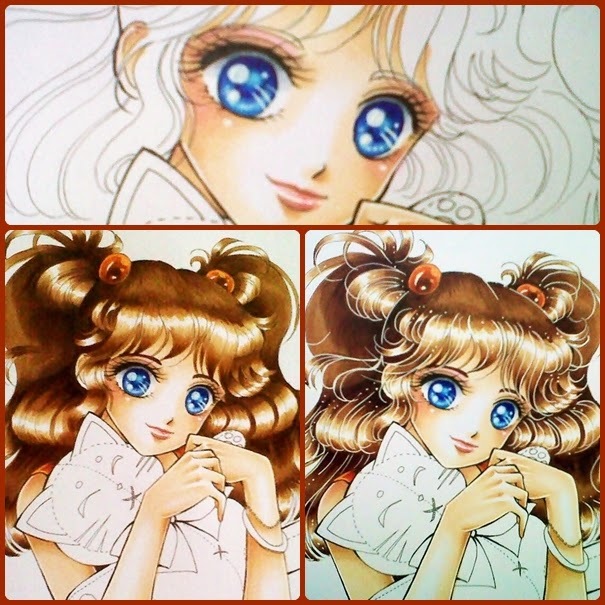 The images are colored using some of my favorite Copic colors this summer. Usually I love the soft tones, recently I have been experimenting with using more color and deeper shadows on my images especially on clothes. I use my W7 on the deepest shadows to create contrasts. It goes with lots of colors, so don't be afraid to try even if it scares you, just be sure not to use to much and to blend well with the color you are using! 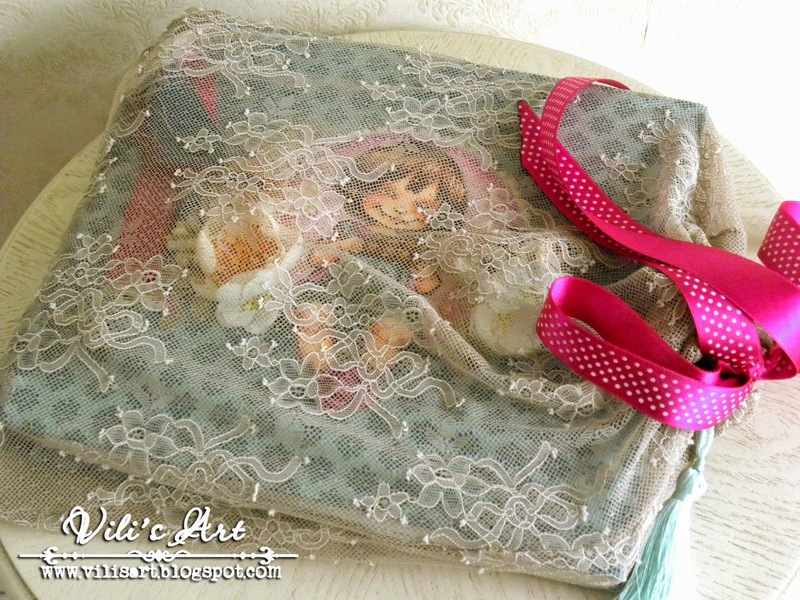 I have used W7 on her hair, shirt and pants, even for the white lace! Skin: E50-21-15, V95 and R20 for the cheeks. Here's the front of my card. I used another Magnolia image on the inside of the card. Same thing on this image, I used my W7 on her hair, clothes, even on the flower in her hand.